Autographed copies are available in English language versions only. It was originally published by Avery Publishing in 1994 and is currently offered by Penguin Putnam. 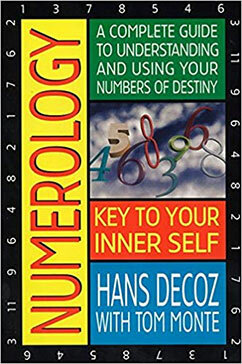 Numerology; Key To Your Inner Self has been translated in several languaes, including Dutch, Russian, German, French, and Chinese. A Japanese version is scheduled for publication in 2019. 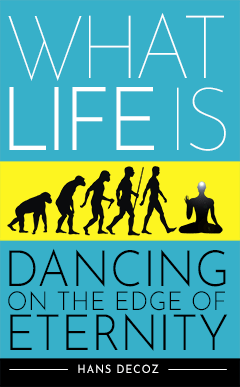 A unique perspective on Life. We seem unable to consider Life as a presence in and of itself, independent from life forms and outside the context of alive versus dead. Does Life have particles? If it did, wouldn’t science have found them by now? Is it energy? If it is, wouldn’t scientists be manipulating it? Why have we not been able to capture or isolate it? 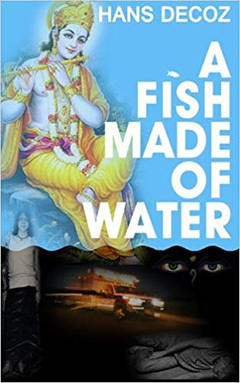 A Fish Made of Water follows Johan, an abused child and suicidal heroin addict born and raised in Amsterdam, from the black hole of addiction to the edge of enlightenment with the help of Daenko, an eccentric Physicist living in an abandoned bakery. Daenko's mysterious poems and unusual explanations of the cosmos and evolution, awaken in Johan a new appreciation for life. Guided by Daenko's stories, Johan's childhood quest for the Holy Grail is revived. When Daenko's true identity is finally revealed, the story turns on its head, exposing not only the real Daenko, but also the real Johan. It is at this point that Johan's quest for the Holy Grail takes a different turn, and is satisfied in a surprising turn of events. What an adventure! I'm amazed at the life Hans Decoz lived (and survived) to ultimately find his spiritual awakening. The story is part auto- biography, part fiction. The events of the story and the depth of the insights kept me turning the pages, eager to find out what would happen next. Mr. Decoz' voice is strong and sure, the characters memorable. A deep, and also entertaining book that I highly recommend! This was such an interesting albeit intense read and I just could NOT put it down. I had no idea it was mostly auto-biographical when I first got it. Incredibly powerful story of pulling himself out from very difficult circumstances that is sure to be inspirational to many!